You thought bad cars went away with the Yugo? You were wrong and Jalopnik readers are here to educate you. These are the ten most hatefully awful cars on sale here in the US of A.
What&apos;s The Worst Car Still For Sale? Why you shouldn't buy it: It used to be a fine car, but it's old now. You can just buy a Versa and get a better car for several thousand dollars less. Why you shouldn't buy it: You know that 29 combined MPG is not worth the price of a scratchy plastic interior, an ugly body, a wheezy engine and an archaic four-speed automatic. Why you shouldn't buy it: You don't live in Milan, Ljubljana, or Lyon. You have to drive for long distances. If you're going to buy a car with little to no useable space and the world's worst transmission, you deserve fuel economy that beats a Hyundai. Suggested By: Reptawr King of the Ozone! Why you shouldn't buy it: Some cars are different because other carmakers don't have the vision to produce something rare and interesting. You know that the CrossCab is not one of those cars. It is different because everyone else thought of the idea, decided it was terrible, and moved on. Why you shouldn't buy it: If you want a car to just drive around on the road, you'll buy a car and not some jacked up Caliber with a fancy grill. If you want to go off road, you'll buy a real Jeep. If you need something that's compact with four wheel drive, you'll buy a Subaru like everyone else. Why you shouldn't buy it: You never think, "if only my car was needlessly heavy, impractical for its size, and looked like a fat larva." The HS250h won&apos;t be around for much longer so hurry up and grab &apos;em while you can! Why you shouldn't buy it: If you're going to suffer with a hybrid that looks like a fat Corolla, it must at least get better gas mileage than 35 city/34 highway. You want more than 187 horsepower for something that costs around $45,000. It's no surprise the car was axed. Why you shouldn't buy it: Every sports car comes with compromises. When you make these compromises, you want just two things out of the deal: a car that looks good and is fun to drive. The Eclipse is neither of those things. Does the Chrysler 200 count? Can we consider it a Sebring? 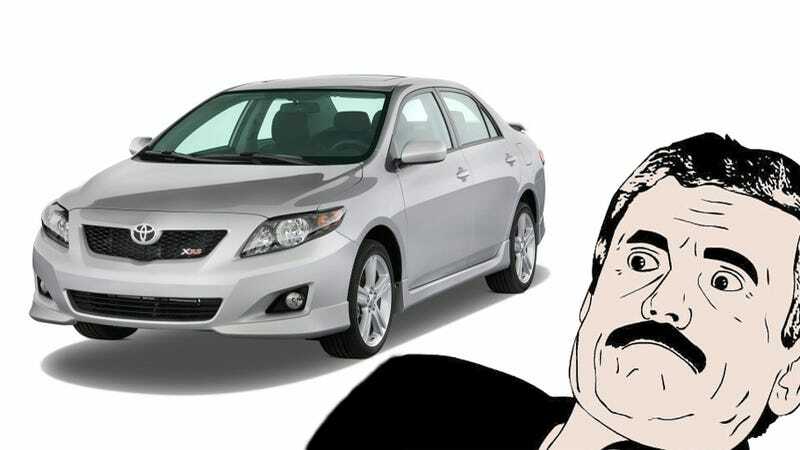 Why you shouldn't buy it: It's still a Sebring. Why you shouldn't buy it: You know there's more to life than reliability and decent fuel economy. You have some semblance of style. You want a car that isn't crude, ugly, rough-riding, and noisy. You have a soul.